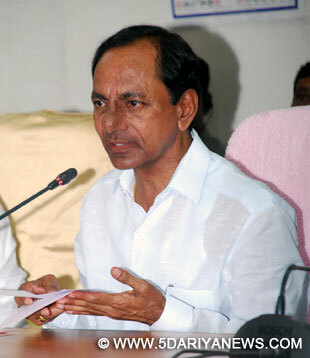 Telangana Chief Minister K. Chandrasekhar Rao on Monday rejected the opposition demand for a CBI probe into the case relating to slain gangster Nayeem, who allegedly had links with top politicians and police officials.He assured the state assembly that those found involved in the activities will not be spared, irrespective of the positions they hold and the parties they come from.Stating that the Special Investigation Team (SIT) of the state police is doing is job efficiently and in an impartial manner, Rao said there was no need for handing over the case to the Central Bureau of Investigation (CBI).The chief minister made a statement in the assembly on the activities of Nayeem and his associates.Renegade Maoist-turned-gangster Nayeem was gunned down by police in an alleged exchange of fire on Aug 8 in Shadnagar town near Hyderabad. An AK47, a 9mm pistol and ammunition were recovered. KCR, as Rao is popularly known, said for last two and half decades, Nayeem gang committed heinous crimes in Telangana and was carrying out its activities without any hindrance under the rule of the previous governments.He said soon after the formation of TRS government, it decided to contain Nayeem gang's activities with iron hand.After the death of Nayeem, people living in fear had a sigh of relief and his victims came out to lodge complaints, he said. Police registered 174 cases. It examined 741 witnesses and arrested 124 accused.The Chief Minister said during the raids on the gang's hideouts, police seized 21 firearms, 21 cars, 26 motorcycles and Rs.2.95 lakh cash. Police also seized documents of properties registered in the name of the family and friends of the gangster. The registered value properties including over 1,000 acres of land, 27 houses and 1.67 square yard residential plots is estimated to be over Rs 143 crore. He said the gang's involvement was established in 27 murder cases and it was suspected to be involved in 25 other murder cases.KCR said police had filed two charge sheets and 15 more charge sheets were ready to be filed.During the debate, Congress legislator Jeevan Reddy said CBI probe was necessary for an impartial probe as politicians from all political parties were suspected to have links with Nayeem. He wanted the government to produce Nayeem's diary and other material in the court.Targetting Congress and Telugu Desam Party, KCR said it was no secret which parties created the monster and allowed it to have free run. He reminded Jeevan Reddy that it was during Congress rule that Nayeem escaped from a court.As a Maoist, Nayeem had killed an Indian Police Service (IPS) officer, K.L. Vyas in 1993. After being expelled from the People's War Group (PWG) for indulging in extortion, he turned a police spy to help them effectively counter Left-wing extremism, which was then at its peak. Nayeem had close links with politicians and top police officials and eliminated some top Maoists and their sympathisers in the then united Andhra Pradesh.